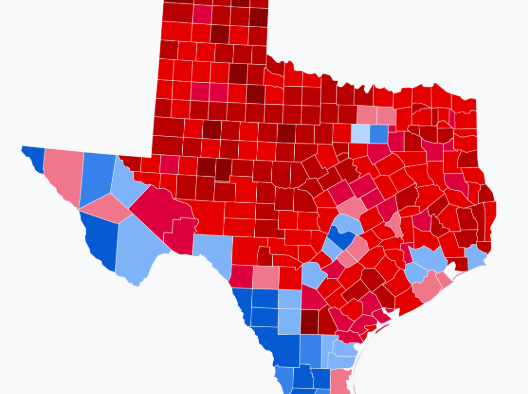 When the country watched the midterm election results, Texas was under heavy watch. Beto O’Rourke seemed to be a political celebrity, appearing on The Ellen Show and The Late Show with Stephen Colbert. He seemed like he was the Democrat who was magically going to turn Texas democratic. There was also talk of a “blue wave,” or an increase of democratic politicians, that was going hit Congress; a response to the 2016 election where Republicans gained control over the House, Senate, and Presidency. Beto was gonna surf the blue wave into Texas just like he skateboarded outside of Whataburger. So then Election Day came and Ted Cruz won the Senate race. For many people, it felt like Beto’s loss came out of nowhere. They found it hard that someone like Beto could lose to someone like Cruz. In reality, Beto was more likely to lose than to win. 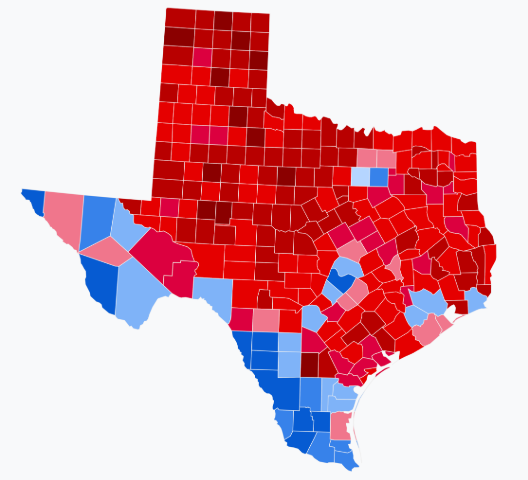 Texas is a historically “red” state, meaning that many people living in the state will vote Republican. Since 1980, the Republican Party could count on Texas to vote for their party in the presidential race. And only urban counties would vote blue. There are 191 rural counties that still hold conservative values and would vote Republican. Cruz counted on this same tradition and helped him, this time. Beto was unlikely to win the Senate, but he did do something that nobody expected him to do. He changed the color of Texas from red to purple, meaning that the Republican Party can’t secure their vote in the presidential race because there are too many democrats who could change that vote. Beto lost by 2.6% of voters and was expected to lose by more than 10%. The midterm elections weren’t just about the blue wave, it was about encouraging a younger generation of voters to become more politically active. The country doesn’t usually care about elections unless they’re the presidential election; usually around 60% voter turnout in Texas. Before 2018, midterm elections were viewed as less important because it wasn’t the presidency, getting less than 40% voter turnout. But this year, Texas saw 53% in voter turnout. This year, it felt like voter registration was everywhere. Almost everyday in the Bishop’s Lounge before registration ended, there was a table where students could register. College Republicans and College Democrats both held events for students to meet local candidates. Some professors even set aside class time for students to register to vote. And this was just on campus. Instagram had a link to a voter registration site in their Instagram Story and Twitter had #BeAVoter going around, both partnerships with TurboVoter. These two campaigns were an effort to encourage younger voters to go to the polls since older generations are more likely to vote. The increase of voter registration events payed off, along with helping bring in the blue. Because while bigger races like the Senate and Governor had Republican winners, local-level seats had Democratic winners. In Harris county, 17 black women also won judicial seats and Lina Hidalgo unseated incumbent Ed Emmett for county judge. Williamson county was also blue in the senate race, but it is also worth noting that Republicans won the races in this county. Though Beto may not have won the senate race, there was still progress. And with the 2018 midterms getting the highest number for voter turnout in more than two decades, it’s predicted that the presidential election in 2020 will also have a higher than usual voter turnout. Despite the fact that the midterms are over, it’s important to stay politically active and engaged. Make sure you’re still registered and continue to do your research on important candidates for upcoming elections besides the presidency.